Sign up and receive Property Email Alerts of Apartments to let in Waterfront, Cape Town. Spacious furnished two bedroom apartment with entertainer's patio. This is a brand-new apartment has recently been furnished and beautifully decorated and waiting for the right tenant to occupy and enjoy. From the patio, you have views of the new Zeitz MOCAA. 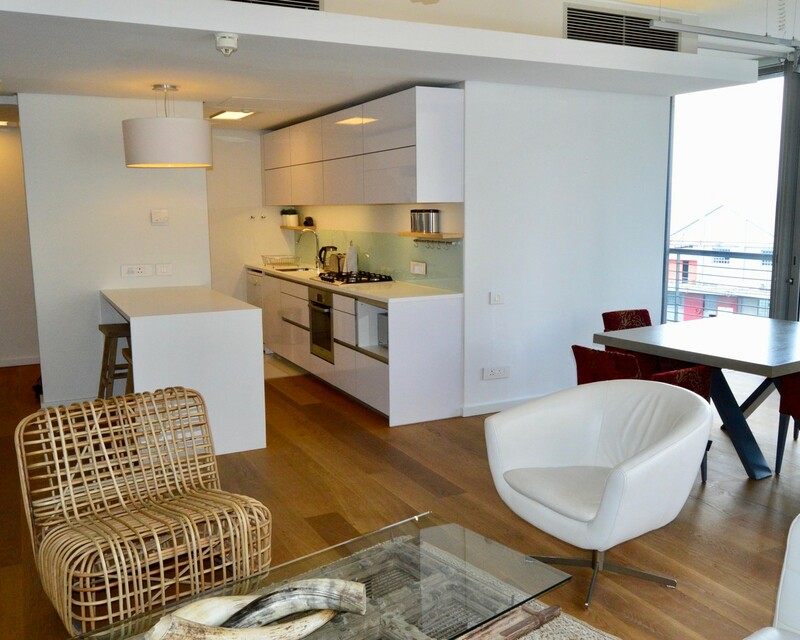 The apartment has a spacious open-plan kitchen/lounge/dining room. The kitchen has integrated appliances and is fully equipped. The bedrooms have ample built-in cupboards and en-suite bathroom with bath and shower off the main bedroom. The apartment is available immediately until 30 November 2019. Sign-up and receive Property Email Alerts of Apartments to let in Waterfront, Cape Town.